While visiting Northern California, evangelist Billy Graham once commented, "The Bay Area is so beautiful, I hesitate to preach about heaven while I'm here." Not only lovely, the region is also uniquely photogenic, and many, many films - more than 600 - have been shot in San Francisco and the surrounding area over the past nearly 90 years. My interest in local film locations and history dates back to the 1990s when I worked in offices located at 170 Maiden Lane, a building that had, years earlier, been part of Ransohoffs, a high-end San Francisco department store. The offices were posh, with lofty ceilings, wide archways and other elegant touches. Notably, the archway motif was echoed by tall arched mirrors that adorned several walls. I learned that the floor had once housed Ransohoffs' dress salon. 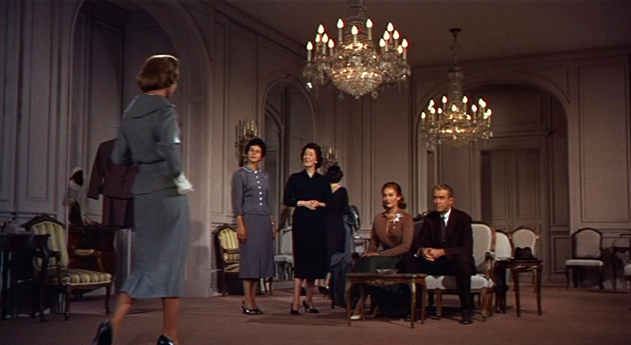 And then one day an architect (the company I worked for was a design firm specializing in destination resorts and hotels) told me that a classic scene in Alfred Hitchcock's Vertigo had taken place within our walls. This bit of information motivated me to do some research and I learned that though the sequence in which Scottie Ferguson takes Judy Barton shopping for a new wardrobe had not actually been filmed on site, Hitchcock had replicated the setting - precisely - on a Hollywood sound stage, just as he had recreated the Podesta Baldocchi florist shop and Ernie's restaurant for the film. A few years later I came across a book that boosted my interest in Bay Area film locations to a new level: Jeff Kraft and Aaron Levinthal's singular Footsteps in the Fog: Alfred Hitchcock's San Francisco. Within its covers I found a trove of detail on the locations used not only in Vertigo, but also Shadow of a Doubt, The Birds, Psycho and more. Once I started blogging, I began to make use of some of what I'd learned in that book and others and online, becoming something of a film location geek in the process and eventually making a 6-minute video I called San Francisco Movie Locations, a Mini-Tour. The farm depicted in The Farmer's Daughter (1947, Loretta Young and Joseph Cotten) was the Scott Ranch on Adobe Road in Penngrove, California (in Sonoma County, North of San Francisco) and the two-story Victorian home, outbuildings and silo shown in the film were all demolished long ago; all that remains of the ranch today is the "rolling landscape." 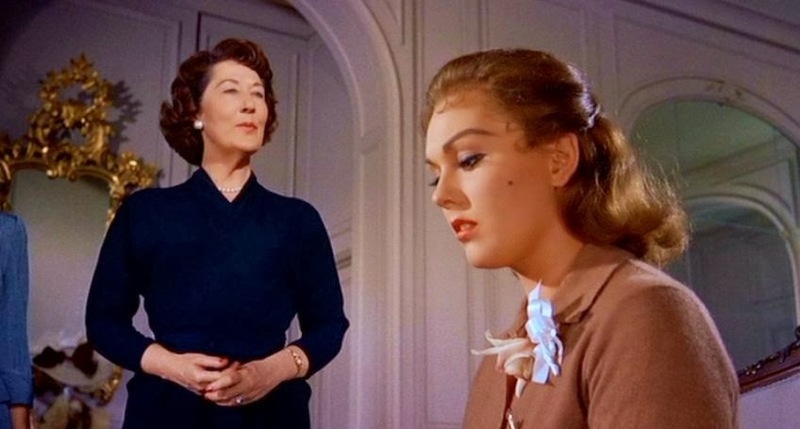 Aunt Polly (Jane Wyman), the chilly spinster who took in her niece Pollyanna (1960, Hayley Mills), lived in one of the Bay Area's most idyllic locations, the Wine Country. The film's locations were shot in towns like Napa and St. Helena in Napa County and Santa Rosa, the county seat of Sonoma County. Lucky Pollyanna! 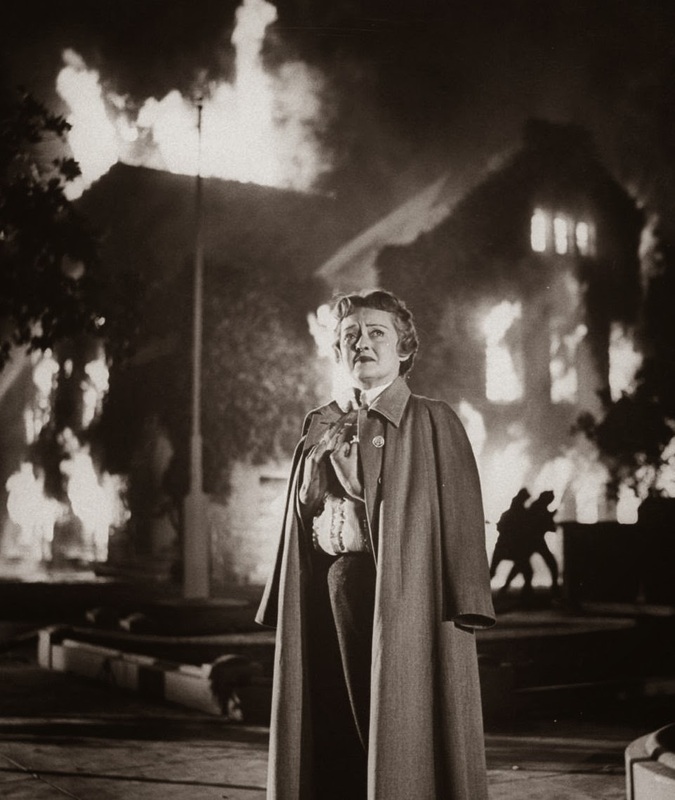 When I discovered that Storm Center (1956, Bette Davis) was shot in Santa Rosa and that the town's Carnegie Library was a pivotal location, I realized why that ivy-draped library building and the trees enclosing it had always seemed so familiar to me. Alfred Hitchcock had used the same library in Shadow of a Doubt (1943) for the scene in which Young Charlie (Teresa Wright) rushes to its doors just at closing time. Pollock catalogs the hundreds of films set in the Bay Area from the early 20th century (Behind That Curtain, Fox, 1929) to very recent times (Blue Jasmine, Paramount, 2013, Cate Blanchett). 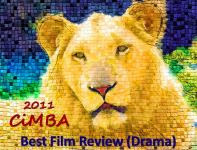 Each entry includes release year, studio, director, stars, some behind-the-camera crew, a brief synopsis of the plot and a list of locations featured (addresses included). But this book is more than a lengthy film index. On most pages, adjacent to one or two films, is supplemental background on persons or places or events related to the particular movie(s). 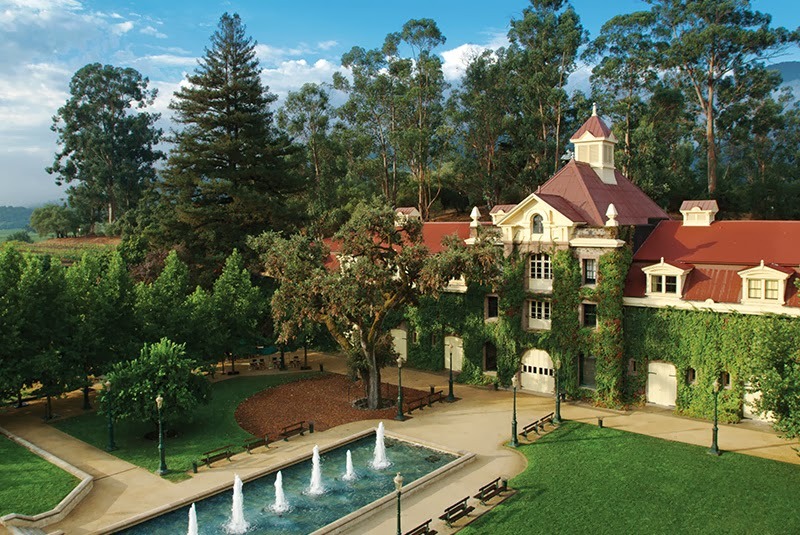 For example, accompanying the entry on This Earth is Mine (1959, Rock Hudson, Jean Simmons) is a brief history of the Napa Valley's Inglenook Vineyard, a site featured in the film, from its beginnings in 1879 to its present status as the award-winning winery of director Francis Ford Coppola (The Godfather series, Apocalypse, Now), who has become an accomplished vintner as well as filmmaker. Among the many Bay Area notables Pollock mentions who have made appearances in locally filmed movies was the San Francisco Chronicle's Pulitzer Prize-winning columnist, Herb Caen (1916 - 1997), who had a bit part as a reporter in Nora Prentiss (1947, Ann Sheridan). The oft-quoted wag, who was besotted with the City by the Bay, memorably quipped, "One day...if I go to heaven, I'll look around and say, 'It ain't bad, but it ain't San Francisco.'" Clearly, I agree. But I have to admit that my interests extend beyond the San Francisco Bay Area and, in the past, I've happily explored historic locales in New York and Hollywood as well as a tiny island just off the coast of Southern California. Many thanks to Christopher Pollock for a review copy of Reel San Francisco Stories, an essential resource and valued addition to my library of books on film. Back stories and other related information add so much to the film entries. And the inclusion of specific addresses makes tracking down locations easy (though the author wisely urges "please don't disturb current residents"). Thanks for this post, we're in the bay area and always interested in finding new and different sites we didn't know existed. San Francisco and Silicon Valley have such a rich history of sites that people must just walk past every day. One of the great things about the Bay Area is that its heritage/history is respected and preserved, so many of the locations and buildings that have been featured in films over the years are still standing and recognizable. The trick is to know where to look. Thanks for your comment! Great post Lady Eve. While I've visited San Francisco many times and admire its charms, I've never traced its movie legacy. Your post does bring to mind John Bengston's trilogy of books on silent film era Los Angeles, with books tracing the film settings for the films of Charlie Chaplin, Buster Keaton, and Harold Lloyd.And here in Coronado we also have our (former) Spreckels Mansion. John D. Spreckels owned most of the island at one time, and had the first permanent public library building built in 1909. It still stands, tho expanded upon many times since.Thanks for the mini-tour. I didn't know that a Spreckels once owned most of Coronado. Was this before or after the Hotel del was built? I think of Coronado whenever I watch "Some Like it Hot." Though I'm not familiar with the John Bengstron books, I've always been interested in L.A.'s movie heritage - the film locations, the old studio buildings, the estates of the great stars and their historic haunts. 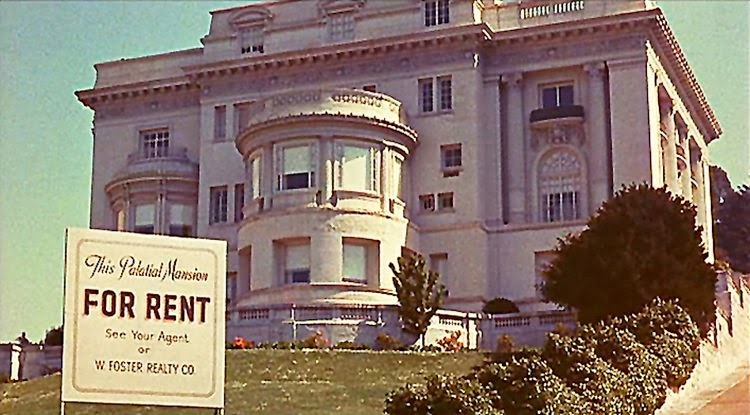 I'd never really thought about it before, how many times the San Francisco area & architecture has been used in films. This book sounds wonderful. Thanks for sharing these insights with us. I knew the area had been featured in quite a few films but had no idea the number exceeded 600. I love books like this and this one sounds fascinating. 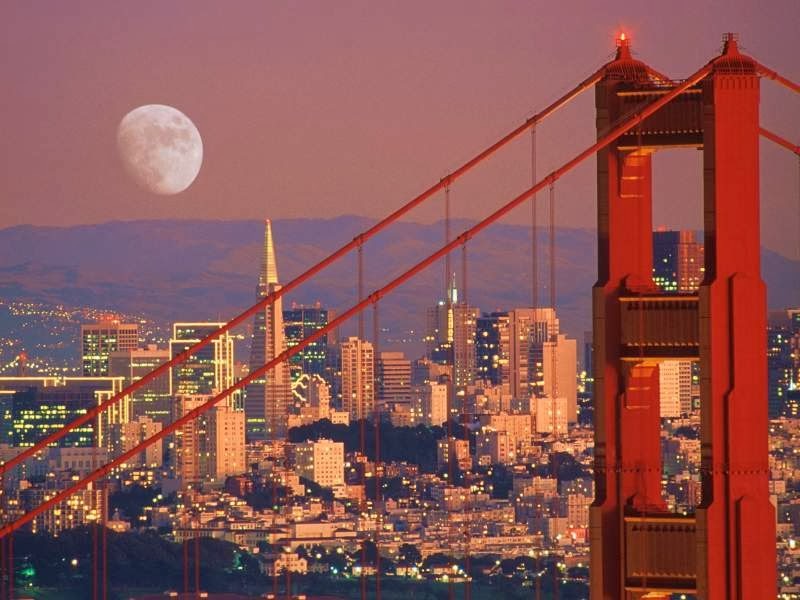 I have never been to San Francisco, but it is on my list of must-get-to places. I think I read that there is (was) a Hotel Vertigo there that has a movie-themed decor and gives as Vertigo tour. One day soon I will get there! The Hotel Vertigo does still exist - it was featured in the movie as the building where Kim Novak (as Judy) lived. I think it was called the Empire then. And when you come to San Francisco, FlickChick, I'll personally take you on a tour of classic film locations. Eve, Pollock's book definitely sounds right up your alley (and one I need to add to my film book collection). I remember your wonderful video tour very well. I am always surprised that more films haven't been set in San Francisco. 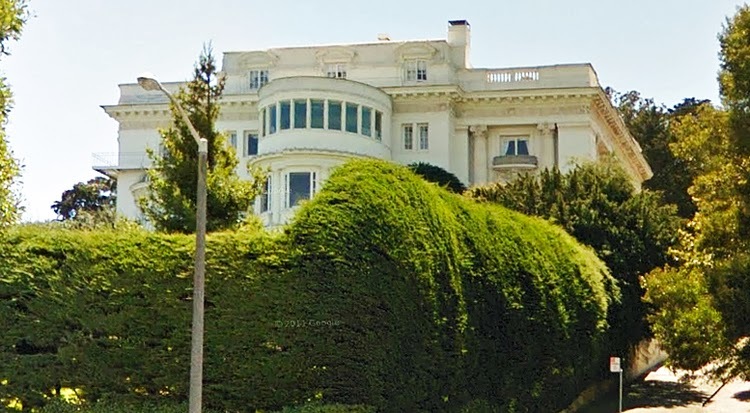 Two that always spring to mind are HOUSE ON TELEGRAPH HILL and IT CAME FROM BENEATH THE SEA. I don't know if the latter featured a single scene actually shot in San Francisco, but the image of the tentacles on the Golden Gate Bridge has stayed with me throughout the years. Rick, According to Pollock, these San Francisco locations are featured in "It Came From Beneath the Sea:" Crissy Field and the Presidio area, the intersection of Market and Stockton Streets downtown and certain waterfront piers. He notes, however, that the city would not allow Columbia to shoot footage of the Golden Gate Bridge for scenes involving the monster octopus (fear of loss of public confidence in the structure was cited) so the studio intercut an animated model of the creature with newsreel and stock footage. Add the Argosy Bookstore to the places Hitchcock recreated for VERTIGO. The book sounds fascinating. San Francisco is a gorgeous city, one of my favorite cities to visit. Have been there twice over the years and hope some day to get there again. So many great films have been made in SF including, DIRTY HARRY, BULLIT, THE LINE UP and THE CONVERSATION all of which have showed off the city's visual treats. That's right, John, though my understanding is that the bookstore's name is actually the Argonaut. I was familiar with the Podesta Baldocchi shop and Ernies in their day (both gone now), but am not sure I was ever at the bookstore. Must've been, just don't remember. All the films you name are covered in the book, by the way.